The new FW208HS is the woofer unit having high stiffness diaphragm evolved through the fusion of the unique sophisticated pulp materials and Fostex original paper making technology. 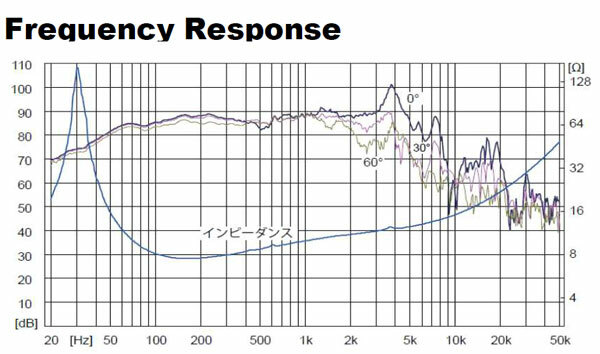 Certain transduction of amplitude into air vibration, new FW208HS woofer reproduces superb low frequency sound with remarkable transient. 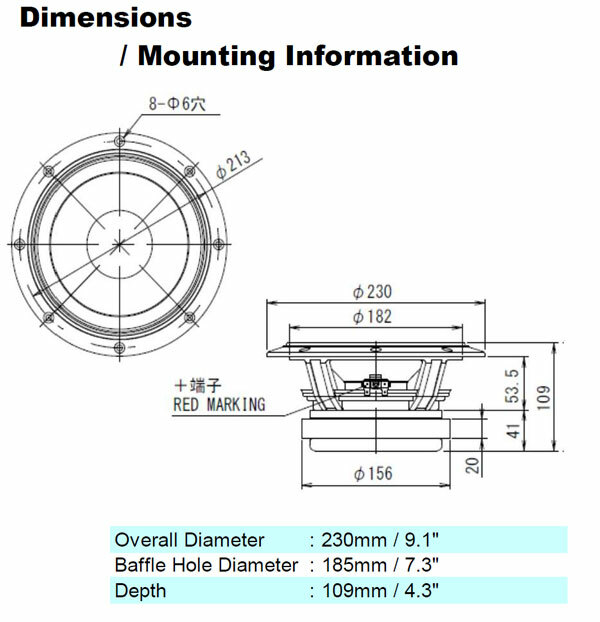 High input tolerance long voice coil. Low current distortion magnetic circuit. 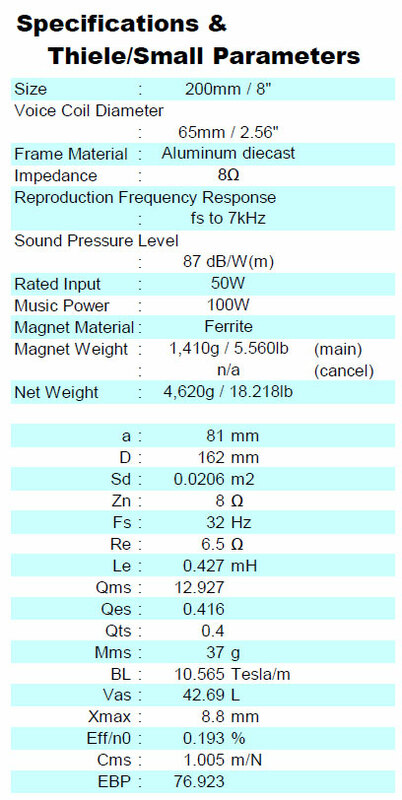 Sealed Box of 0.5 cubic foot for 3dB down of 63Hz. Vented Box of 1.0 to 1.2 cubic foot with 2" diameter vent by 7.5" long for a 3dB down of 37Hz.